When I was a kid, there was nothing cooler than lunch time. That 45-minute block of time wasn’t just about eating. It was a time to socialize with my friends and have a break from the rules and monotony of the classroom. Although I seldom took a packed lunch to school, it was fun to watch my friends open theirs. 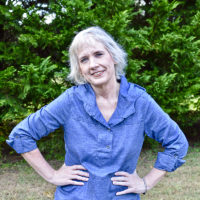 There were often sighs of disgust (mom made a bologna sandwich again) or glee (mom included a chocolate brownie). Next came a few minutes of bartering, exchanging, or sharing. It really was lots of fun. If you currently have kids of your own, you might have already realized that packing lunch for your kids can be a bit challenging. You have to think of something different every day (or at least vary it a bit), find a way to incorporate healthy yet tasty foods, and remember what kid won’t eat what. We can’t tell you how to pack the perfect the perfect lunch for your little prince or princess but we can offer you up ten lunchbox hacks to make lunch preparation|packing easier and smarter. One of the most frequent issues with foods that require sauces or dips is how to pack the sauce without the entire lunchbox turning into a disaster by the time your kids open it. The solution for any kind of sauce or dressing is to pack it into tiny bottles, especially those little egg-shaped bottles that contain liquid beverage mix. Just make sure you wash them before initial use. Hopefully, you can say goodbye to those pesky accidental spills. When you want to pack three or four different foods but realize you just have one clean container, things can get a little complicated. The easiest way to keep different foods separated in the same container is to use muffin liners. It is an elegant and original solution and you won’t have to worry about washing more containers in the morning when you are already late for dropping your kids at school. Plus, you can often find muffin liners at your local dollar store. Hot dogs make for a great lunch since kids love them and they are easy and quick to make. The only problem with hot dogs is that, no matter how much you heat the sausage in the morning, it is going to be cold by the time your kid wants to eat it. A very smart solution to this problem is to place the sausage in a thermos with hot water. The thermos will keep the water and sausage warm, and your kid can simply take it out and place it in a bun at lunchtime. If your kid is going on a school trip and you want to pack some ice-cold beverages, you might find that regular ice cubes don’t always fit inside some bottles, which can make it hard to cool what’s inside. To avoid this problem, simply fill ¼ of the bottle with water the night before and leave it in the freezer. The next day, just pour whatever beverage you want to pack and the ice will already be there. If you want to surprise your kids with a reminder that you love them or to have a great day, you can write on the skin of a banana using a toothpick. As the banana starts to brown, the message will be revealed. It is a very cool combination of an original idea with an excuse to pack a banana to try to get your kids to eat healthier. Apples are very healthy for children, but they usually don’t like them because they take a lot of effort to slice and some kids don’t like the feeling of biting an entire apple. If you want your kids to eat apples at lunch but have discovered that slicing them in the morning makes them turn brown for lunchtime, you can just slice the apple and keep the core, and then securely wrap the entire sliced apple in Saran wrap. This will help the slices stay fresh while conveniently sliced. Another alternative is to drizzle pineapple juice on sliced apples in a container. The enzymes in the pineapple help prevent the sliced apples from turning brown. It can be somewhat stressful to figure out what to pack for your kids’ lunch every day when you are in a rush. To prevent this, you should make a list every Sunday of all the lunches you are going to pack for your kids over the week. This way, you won’t have to worry every morning about coming up with something, and you could even buy the things you need to make more original lunches. To keep things original and delicious, you could make mini tacos just by using a cookie cutter to cut regular tortillas and then filling them with whatever your kid loves in a taco. This simple trick will make for an original idea and will make your kid eat less not-so-healthy tacos without even realizing it. Microwave Mac & Cheese is incredibly popular everywhere. If your kid has access to a microwave and can get an adult to help, your child can have hot mac and cheese for lunch. If you want your kids to eat vegetables that they aren’t crazy about, place little candy bar at the bottom of a clear bottle or jar and then place the vegetables on top. This will make the statement that the candy bar is a reward for eating the vegetables. This also adds a little fun to lunchtime ;). Whether your child will be eating lunch prepared at school or home, we hope you’ve found these lunch box hacks useful. Won’t you please share them with your fellow parents? 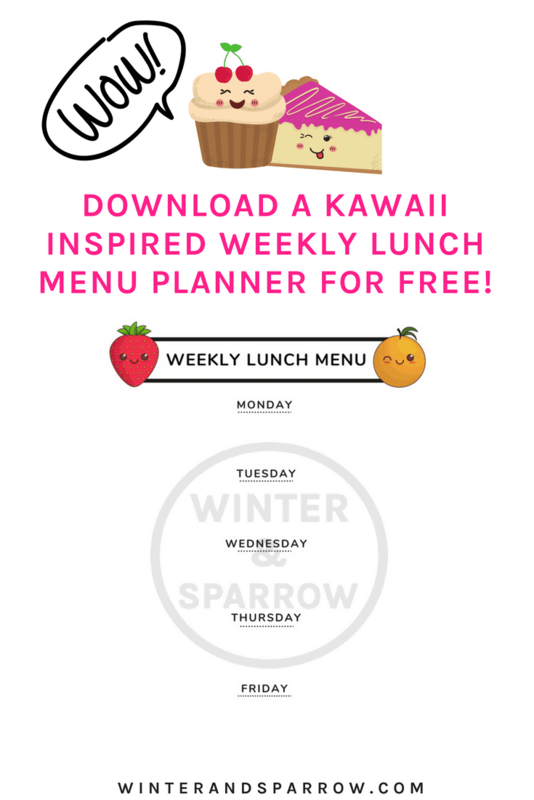 Download the kawaii weekly menu planner free right here. Click on the link and save the PDF to your computer. The menu is for your personal use only. 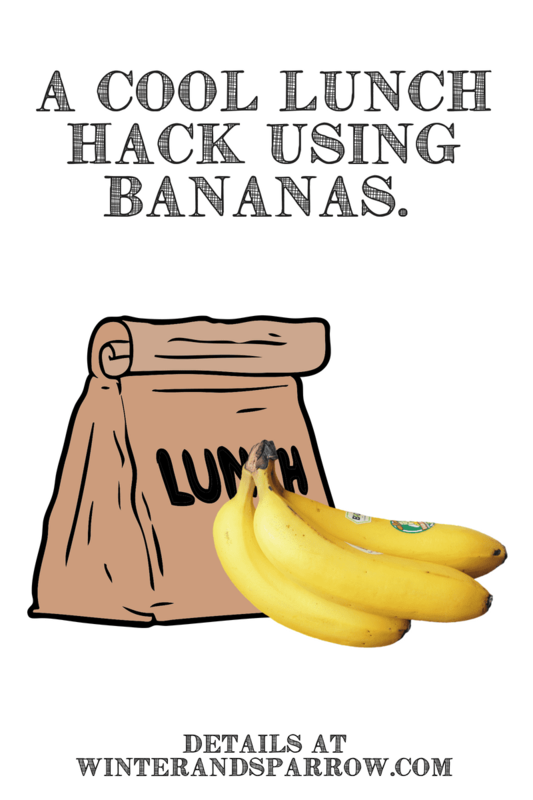 Which lunchbox hack will help you save time or frustration this school year?